As a spiritual seeker who started questioning the meaning of life at three years, reading Hesse’s Siddhartha at sixteen brought me new revelations. Soon afterwards I sought out the rest of Hesse’s oeuvre. I was puzzled by some of the passages in Steppenwolf and struggled through The Glass Bead Game. And then I read, and loved Narcissus and Goldmund. The dichotomy between spirit and the senses, philosophy and art, the scholar and the sculptor, the ascetic and the lover, and the evolution of the seeker into the artist, cast a spectrum of ideas across the pages. Then and now, I believe that Narcissus was the greater of the two, but sometimes, just sometimes it seems likely that he might have been jealous of Goldmund. From Siddhartha I learned that a spiritual Guru may not necessarily provide the answers to a seeker’s quest. 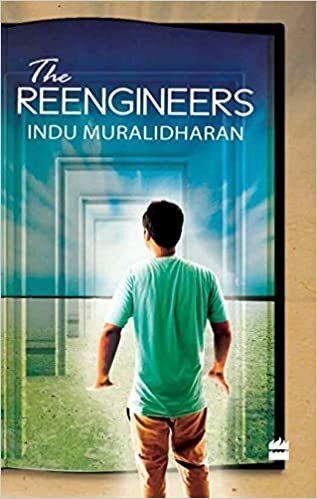 Though I take great care to name each of my characters, I cannot remember when and why the name Siddharth occurred to me for one of the main characters of The Reengineers, the character of the author who seeks to find himself through writing his novel. It might have been the unconsciously remembered fact that Siddharth was the given name of Buddha, one of the quintessential seekers in history. Or it might equally have been the influence of Hesse’s hero, who is one of the quintessential seekers in literature.